Author Wayne Zurl is back with his popular Sam Jenkins Mysteries Series. 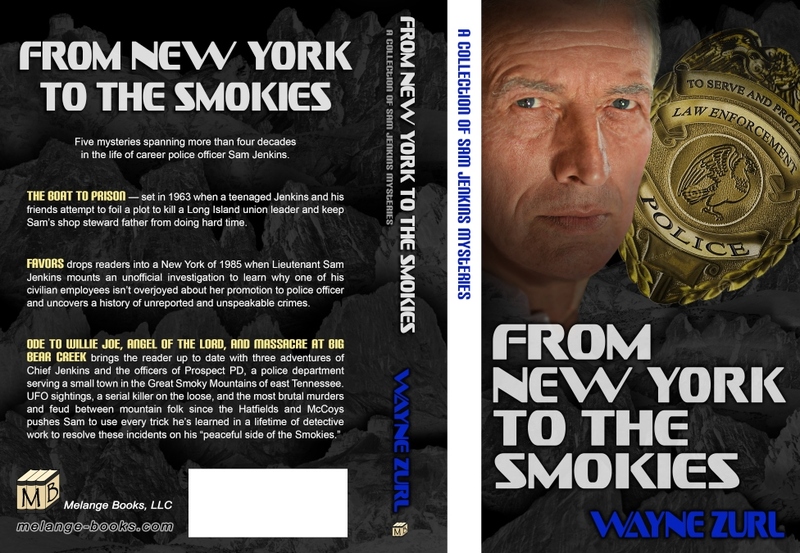 From New York To The Smokies is a 5 book anthology collection from the Sam Jenkins Mysteries Series! Seventeen-year-old Sam Jenkins is busy fishing and falling in love with a girl named Kate. But with a father involved with the union and a divorced mother, Sam often finds himself acting like the adult of the family. During a fishing trip off Long Island, Sam overhears a conversation involving dangerous plans that can land his dad in jail. To keep his father out of prison, Sam teams up with detectives from the county’s rackets bureau and enlists the help of two friends to pull off an operation far beyond their usual high school curriculum. Police community Service Aide Liz Lopez should be in fine spirits—she’s in line for a promotion to police officer and a raise. But her sullen demeanor tells her boss, Lieutenant Sam Jenkins, that Liz is anything but happy. Jenkins begins an unofficial investigation to find out what’s going on. The detective learns of a bizarre home life and a dark secret Liz keeps under wraps. FAVORS is a story of how the police take care of their own—in an honest and compassionate way. A killer is on the loose in Prospect, Tennessee. He strikes repeatedly, each time leaving a cryptic message for the police to find. By the time a fifth body turns up, Police Chief Sam Jenkins is under pressure—either solve the murders or bring in outside help. But the chief’s ego won’t allow others to work his cases. And at the eleventh hour he tracks down a prime suspect, but death is only seconds away for the next victim. A misunderstanding between hunters rapidly escalates into a battle not seen in Southern Appalachia since the Hatfield and McCoy feud. 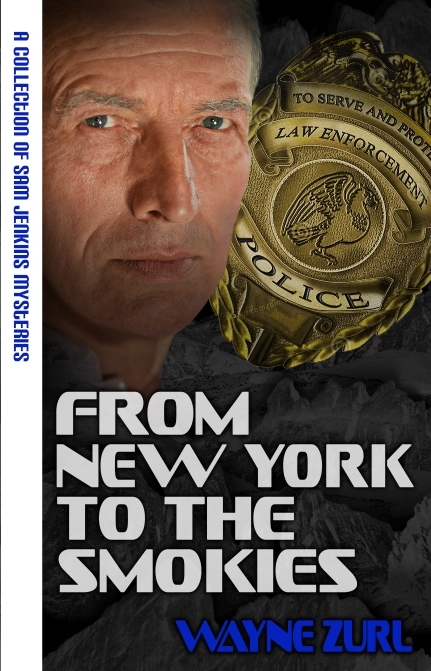 As bodies pile up faster than evidence, Sam Jenkins and the officers of Prospect PD scour the remote hills and valleys of East Tennessee and North Carolina to solve a case that reads more like an old west adventure than a modern police drama. Prospect, Tennessee Police Chief Sam Jenkins receives two reports of UFO sightings in three days. 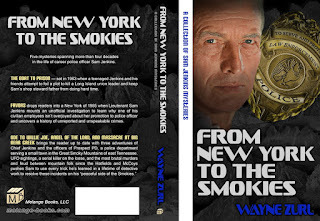 The gritty ex-New York detective doesn’t believe in coincidence…or space aliens, but he can’t find anything to explain a glowing spaceship and little green men—until he sends Sergeant Stan Rose and Officer Junior Huskey to Campbell’s Woods. They call in a startling discovery, and the investigation begins. The rain never stopped. From early June through late August, it poured or drizzled almost every day. I thought if I stood still too long I might begin to mold. It reminded me of the monsoons in Southeast Asia. Drops of rain falling from the brim of my cap were exceeded only by the young woman’s tears. “When did you see the boy last?” I asked. She shrugged and cried a little more. We walked to the mud room off the kitchen. A small hooded jacket hung on one of the five pegs over an antique wooden chair not six feet from the back door. A small pair of bright blue rubber Wellingtons sat on the floor. Without the puffy eyes and fear scarring her face, Emily Suttles would have been an attractive brunette. Back in the living room, Emily picked up the remote control and turned on a flat screen about the size of a stretch van. The American Movie Classics channel came on playing a scene from Halloween 4. “Did you or the cops look through the house?” I asked. We walked upstairs anyway. I looked under the bed. Nothing. The boy’s mother called his name. More nothing. I opened the closet. Huddled in the left corner, leaning against the wall, four-year-old Elijah Suttles slept peacefully, a small flashlight in his right hand. I shook his knee. He opened his eyes, blinked rapidly, and looked frightened. The little boy nodded, but still looked scared. The boy stuck out a hand, and I pulled. Once on his feet, he scrambled to his mother and locked onto her leg, mumbling an apology. “Five-oh-nine, I copy that,” Billy Puckett said. “Anyone know 513’s 10-35?” I asked. “Joey was goin’ house ta house, east end o’ the street,” Puckett said. Just as I shifted into reverse, PO Joey Gillespie spoke on the radio. 10-5 is our brevity code for a homicide. Two men lay face down on the kitchen floor. One with a shaved head made it easy to see the small caliber bullet hole at the base of his skull—a .25 perhaps or more likely a .22. Blood trickled from the wound down past his right ear, over a thick neck, and onto the Mexican tile floor. The other victim’s blood oozed to his left. Funny, the little details you notice at the scene of a murder. “You call crime scene and the ME?” I asked. He nodded again and looked a little queasy. I drew my old Smith & Wesson from the holster on my right hip, and Joey pulled out his .40 caliber Glock. We made a quick sweep of the first floor, opening all the closets before ascending the stairs. The landing above left us in a hallway with what looked like four bedrooms, two baths and two closet doors. We found nothing in the guest johns or closets. A lack of personal property in three of the bedrooms led me to believe they were set also aside for guests. We looked further in the master suite and discovered two closets holding clothing for two different people. “I guess the two guys slept t’gether,” Joey said. Two car doors slammed out front. “Let’s see who’s here,” I suggested. Jackie Shuman and David Sparks, crime scene investigators from the Blount County Sheriff’s Office, had arrived and stood in the foyer holding cameras and forensic kits. Moments later, Deputy Medical Examiner Morris Rappaport and his assistant Earl Ogle pulled up in the morgue wagon. “How’d ya find these two?” Jackie asked of no one in particular. “Nice wheels out there,” David said. “And they’re relatively new, right?” Morris asked. “We’ll git’er done,” Jackie said. Jackie looked closer at the numbers someone crudely scratched into the mellow wood finish. “Two unlucky numbers,” Morris said. 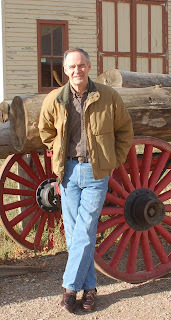 Twenty (20) of his Sam Jenkins mysteries have been published as eBooks and many produced as audio books. Zurl has won Eric Hoffer and Indie Book Awards, and was named a finalist for a Montaigne Medal and First Horizon Book Award. 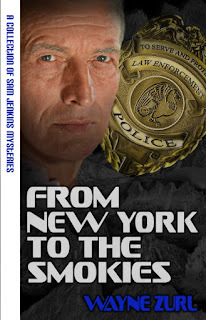 The all new FROM NEW YORK TO THE SMOKIES, an anthology of five Sam Jenkins mysteries is available in print and eBook, published by Melange Books, LLC. Thanks for featuring my newest Sam Jenkins mystery on your blog.